Life isn’t always simple, and in some cases, legal intervention may be needed to produce the best possible outcome. This can be true for individuals who feel threatened or like they are in danger when in contact with any other person. In this case, a court can grant a protection order to give the threatened individual legal protection from harm or harassment. As a team of what we believe to be the best lawyers in Colorado, the Peek Law Firm is here to provide legal assistance in a variety of matters, from traffic offenses to will preparations to divorce settlements and more. If you’re in need of a family lawyer in Greeley, our firm is here to help! Today, we’ll look further into protection or restraining orders and the ramifications they can have on your life. When you’re ready to speak to local lawyers who are here to help restore your life, be sure to contact the Peek Law Firm. The Defendant may be able to file a motion that modifies the terms and conditions of the protection order. When allowed, the court will open a hearing in which the adverse party can state their case for making a Motion to Modify. The adverse party can also file a motion that dissolves the restraining order, placing the decision back into the court’s hands. At this point, the person that issued the PRO can attend the motion to have their say in the process. If the court decides to grant the motion, the PRO will be voided almost instantly. The Defendant can file for an appeal to the presiding district court. Once this is done, the court can confirm the decision, change the provisions, or drop the protection order. If the person named in the PRO violates the order, you should call the police immediately! This is for both personal protection and to document the occurring incident. 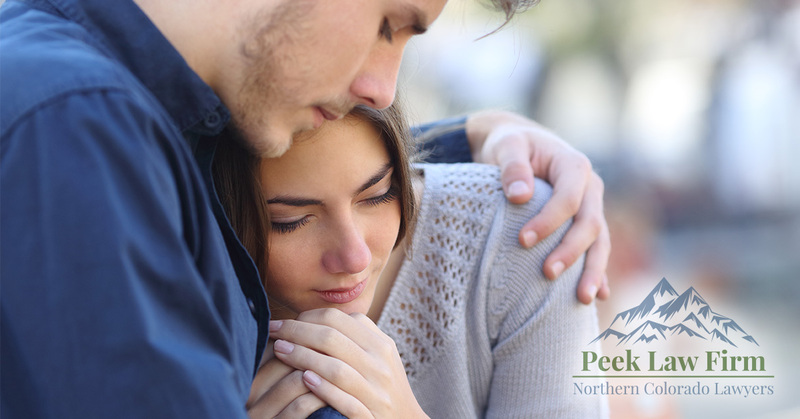 As soon as your permanent restraining order is in place, the information is immediately entered into Colorado’s registry for PROs. Law enforcement is given the authority to do everything in their power to keep those under the protective order safe. The consequences for violating a PRO in Colorado are not nearly as tough as other states. Nevada, for example, can punish offenders who intentionally violate their restraining order by fining them $10,000 and placing them in prison for one to five years. They will typically be charged with a category C felony. In Colorado, PRO violators can be charged with a misdemeanor and placed in jail for up to 18 months. They can also face a fine up to $5,000 as well. Colorado’s family law creates a unique atmosphere of checks and balances for parties on both sides of the law. Next time, we’ll look into the process of mandatory restraining orders following a criminal arrest, as well as a few things that you can do if you are the one that is issued a protection disorder. If you are in need of an experienced team of Greeley family lawyers, be sure to reach out to Peek Law Firm. Our knowledgeable and reliable attorneys are here to help you find the best outcomes for your unique case. Contact us today to learn more.